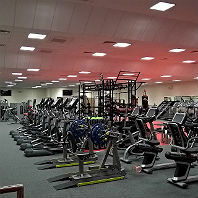 A.C. Electrics carried out a complete rewire of Wishaw Sports Centre’s main gym hall and three spin studios (smaller gyms). 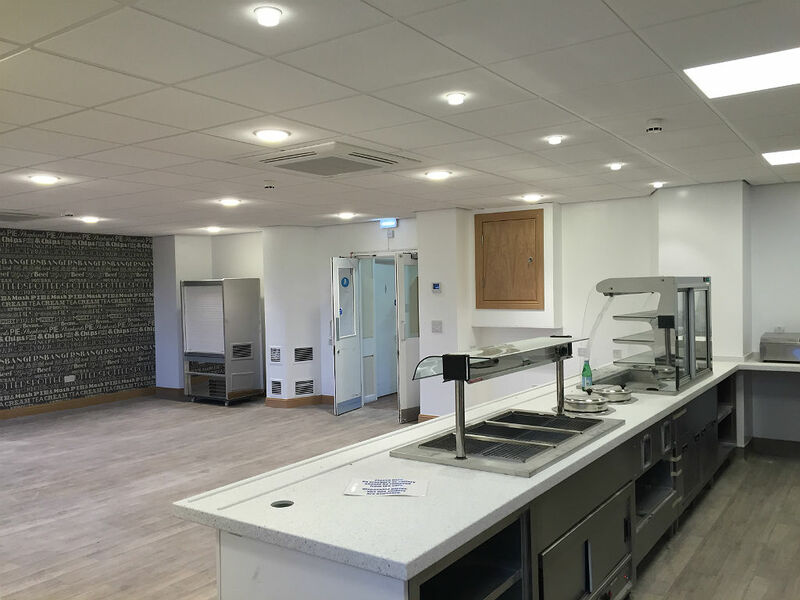 As part of this refurbishment, we wired and installed new low energy lighting, LED emergency lighting, CCTV, fire detection and a new bespoke sound and PA system throughout. This project also included specialist high voltage work including working and liaising with Scottish Power in upgrading the building’s existing 400amp incoming system to 800amp, complete with a new purpose made panel board and metering. 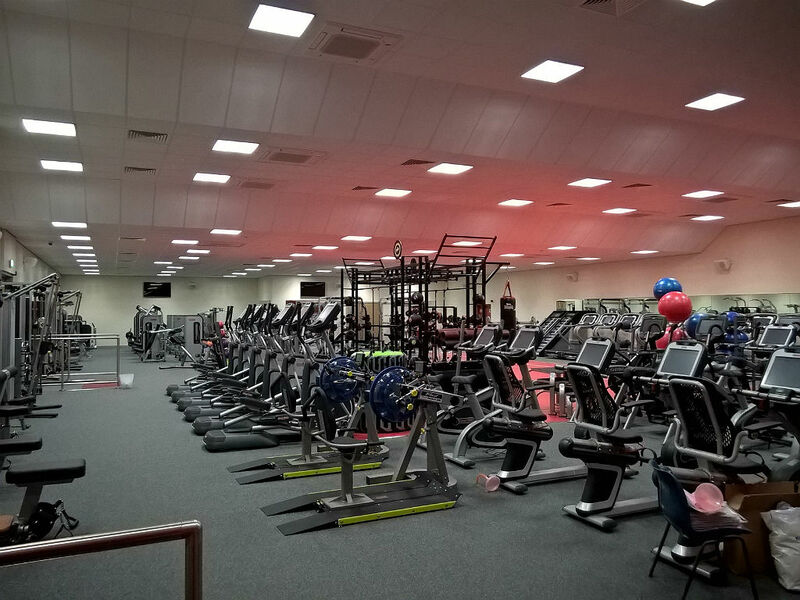 At the latter end of the project, we also designed and installed a wireless motion detection system to operate the main gym hall and corridor lighting. 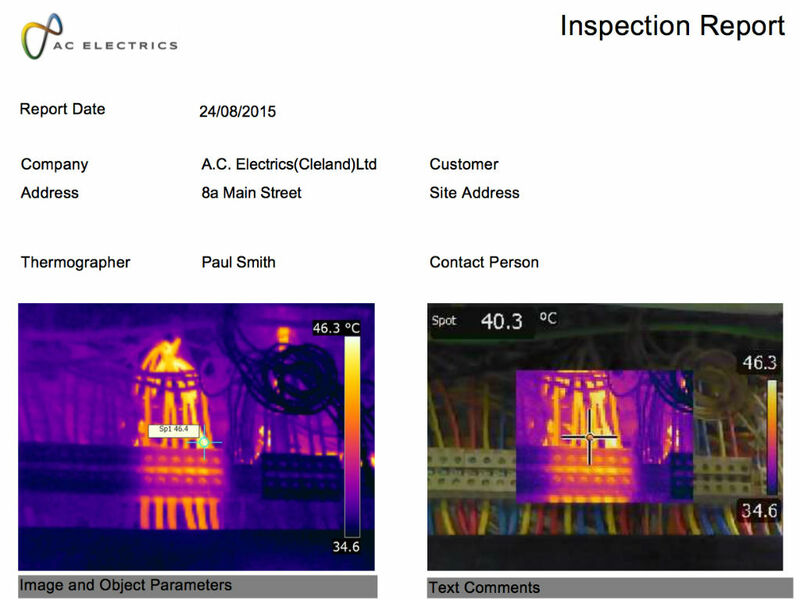 From 2014 to 2015, A.C. Electrics was involved in carrying out Electrical Installation Condition Reports (EICR), previously known as Periodic Inspection Reports (PIRs) on behalf of NHS Lanarkshire for Monklands Hospital. 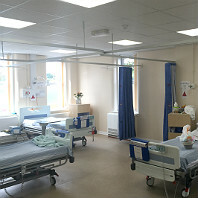 This work included tracing, labelling and testing all lighting, power and medical equipment circuits to areas such as Accident and Emergency, ERU, all occupied Wards, Medical Records Dept and Outpatients Dept. 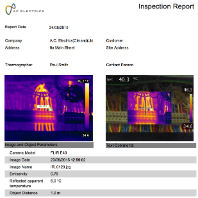 We also carried out thermal imaging reports on the existing installations to trace any heat issues or potential overloads that may have an adverse affect on the department or ward being tested. Using iPads and Cloud technology combined with specialist Amtech software, we were able to complete the onsite certification and reports quickly and with minimum disruption to the hospital staff or patients. By working closely with the client, we ensured we did not intrude on the daily running of this operational hospital. 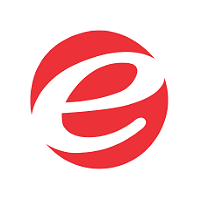 A.C. Electrics can offer EICR Certification for smaller installs such as rented accommodation, private housing, social and as well as Emergency Lighting Testing and Certification for existing installations. Working with German contractors Wittfeld, we carried out a complete Electrical Installation to the new office block and workshop extension. 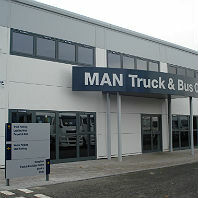 We provided lighting design for both offices and workshops. 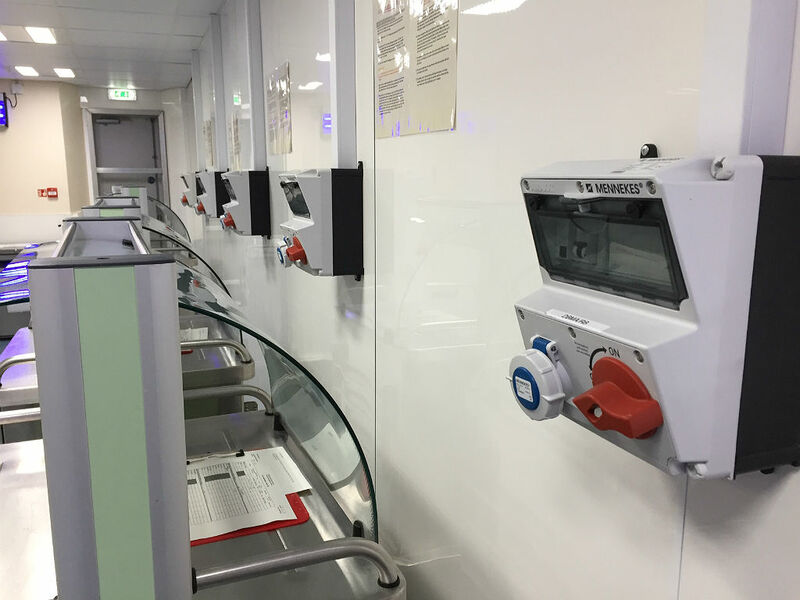 As well as the lighting design, we also installed three phase, single phase and 110v power to all workstations and inspection bays. 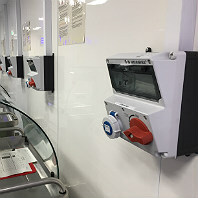 We were also involved in the design and installation of the lighting in the petrol regulation bays which entailed the wiring and fitting of explosion proof lights and sockets. As before this project was finished on time and within budget. 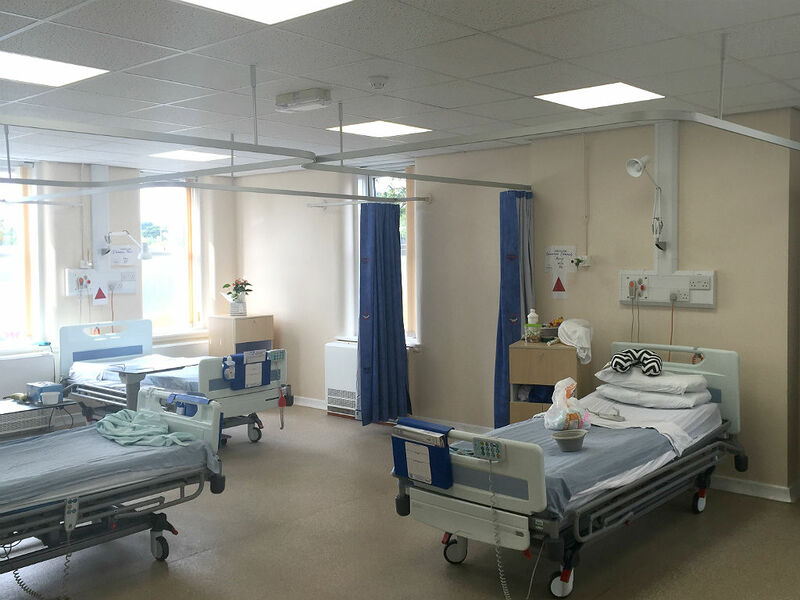 This particular project involved the complete strip out and removal of the existing electrical installation and nurse call system. Prior to the start of the project, we provided a small lighting design for the installation of recessed LED lighting panels and bespoke on-site manufactured bed head units. These units incorporated small power, nurse call and lighting. The above project consisted of the complete rewire of the existing cafe. We provided a new sub main circuit and new three phase distribution board along with the relevant RCD circuit protection for all catering equipment, small power and general lighting. We also carried out a detailed LED lighting design which complements the new decor. 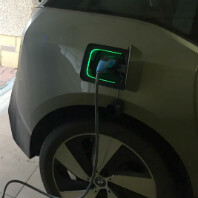 Since 2014, working in partnership with Schneider Electric, we have predominantly surveyed, wired, installed and commissioned the BMW WallBox Pro Range of Electric Vehicle Charging Points for both the BMW i3, i8 and BMW SUV Hybrids. This includes all OLEV (Office for Low Emission Vehicles) certification and admin. 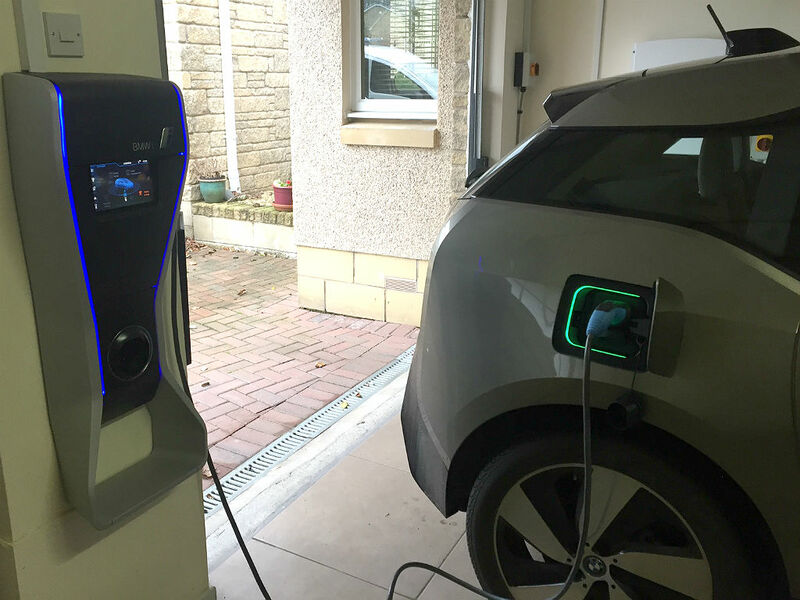 We also have recently installed the Schneider EV-Link Vehicle charging points for both the Mitsubishi, Audi and Mercedes S-Class Hybrids, again with all OLEV certification. 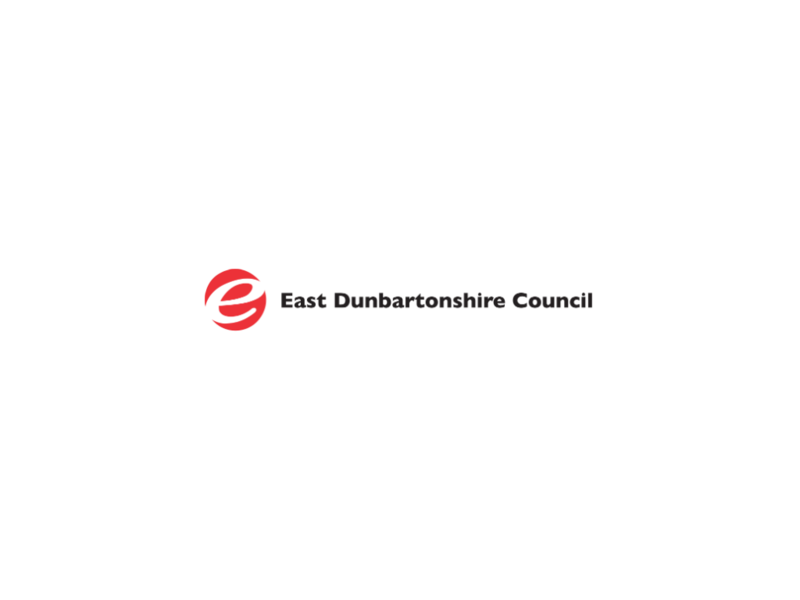 A.C. Electrics carry out programmed works for Local Authorities including East Dunbartonshire. This includes rewiring surveys, full and partial rewires of either vacant or occupied existing housing stock and other council run properties, such as schools and offices. As part of the Asbestos awareness and removal program for the council housing stock, we removed and replaced the existing consumer units which are mounted on Asbestos panels, working with specialist contractors to safely remove the old material. For Councils and Local Authorities, we provide a value for money maintenance service including proactive repairs and services. We pride ourselves on maintaining these contracts through our quality of service, fast response times and professional work ethic. 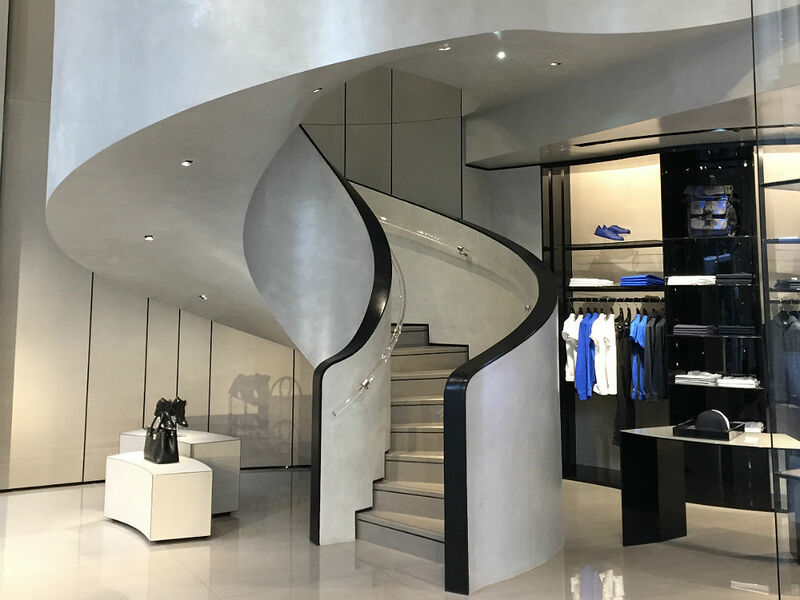 AC Electrics recently completed an extensive Electrical Installation for the new Giorgio Armani store, Hanover St, Glasgow. 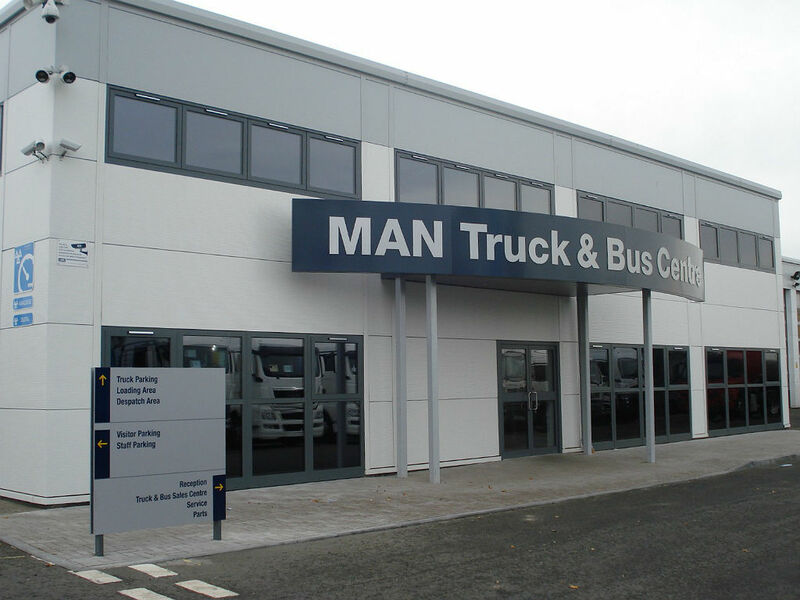 This project involved the complete installation of new containment, distribution, power, lighting, emergency lighting and a fully installed PA system. All the lighting was bespoke to this store, and at the last count they numbered around the 900 mark! 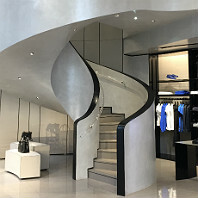 Working in conjunction with the architects and shop fitters, we were able to help bring the store to completion on time. As this was a flagship store, the window frontage had never been installed before. This meant there had to be a lot of on-site design to enable the LED lights to fit. This kitchen refurbishment was completed from start to finish in approximately 6 days. The area was completely stripped out of all services and rewired and fitted to suit the installation of the new Regen food trolleys. We also provided new LED lighting and emergency lighting to compliment this new food distribution area. The existing lighting in the food preparation area was also stripped out. 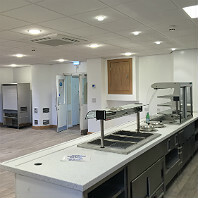 As the existing light fittings were built into the kitchen’s stainless steel ceiling system, we designed and fitted a bespoke LED lighting gallery, cleaned and reused the existing carcasses, and installed made to measure opal lighting diffusers.